I get this question a lot from my friends. 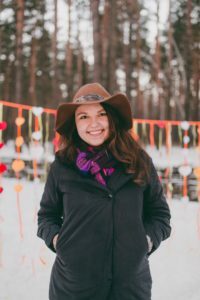 Can I go out at night in Moscow? Is it going to be safe? Should I take any precautions? Or not? I guess if you are traveling to Moscow you might be asking the same questions. When you are young you love to go out at night, party, have some drinks in local bars, try out dancing in a night club. Or if you are a grown up you want to enjoy the prettiness of the central streets all illuminated with lights and take very nice pictures. 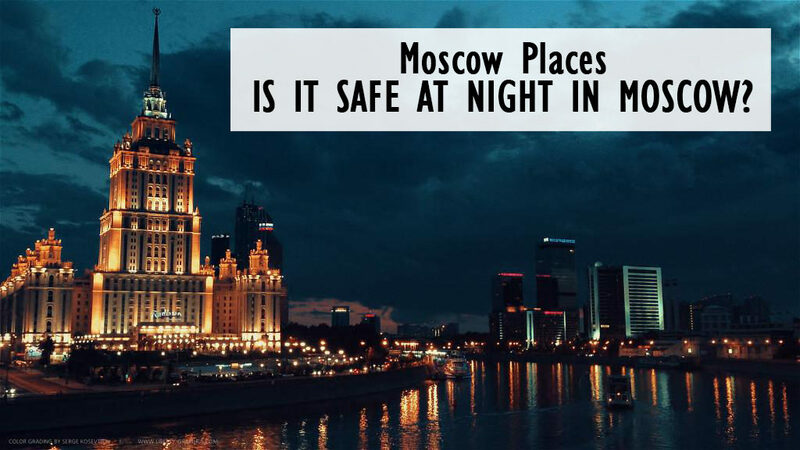 Whatever your reason for staying out at night is you must know if it is safe at night in Moscow. Yes! Moscow is very very safe. That’s the good news, right? 🙂 It is totally okay to walk round the city during the night time. But I must ask you to stay in the center of the city. Central parts are the safest. Most of the cafes, pubs, restaurants, clubs that open at night are located in the central part of the city. So you don’t even need to go anywhere. The best locations for night pictures are also located in the city center. You will not really need to go outside of the center at night. What can you do in Moscow at night? Well of course you can just have a pretty nice walk following the streets or having a stroll near the Moscow river. Is there areas to avoid? Unfortunately there is some. Please avoid going out at night near rail terminals. Especially around the Komsomolskaya station. There are bums around railway stations and they don’t always behave well. Just please be aware. And if your hotel is far from the center then take care walking around in a residential area around the hotel. Actually residential areas are usually safe but please just be careful. I agree, Moscow is very safe at night 🙂 .